Gladys Gewirtz touched the lives of thousands of people who never met her. Her recordings were among the first that were digitized and played on the JSA website (www.fau.edu/jsa). Over 60 years ago, Gladys Gewirtz, had the idea of creating recordings for young Jewish children. Together with her sister, Roz Grossman who wrote the lyrics and patter between songs, she produced recordings based on familiar fairy tales and nursery rhymes. The simple sing-along tunes are endearing and bring back early childhood memories to many listeners. Gladys attended Julliard and Columbia University. 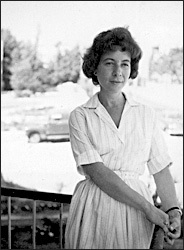 She was music director of the first Camp Ramah, and taught at the Jewish Theological Seminary where she inspired a generation of music teachers and counselors. 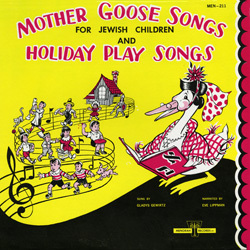 Through the pioneering work of Gladys Gewirtz and her sister, Roz Grossman, Jewish life and customs became songs that even pre-schoolers could understand. It is only now, after so many years, that we can truly appreciate the powerful influence that these simple tunes had in fostering Jewish identity and education for generations of Jewish children. Gladys spent a number of years at Kol Yisrael (The Voice of Israel) as a music producer. She was married to the District Attorney of Jerusalem, Ezra Hedaya. Together with her brother, Shimon (cantor). and his wife, Ilana (flutist and soloist), Gladys established and directed the first music service at the Hebrew Music College in Jerusalem. She also wrote various cantatas and oratorios on biblical themes. Gladys and her brother Shimon again combined their talents to write a musical based on The Book of Ruth. entitled Your People are Mine. Gladys was 84 when she passed away on April 14, 2012. Shimon and Roz are currently living in Israel. All of us at the Judaica Sound Archives are saddened by her passing and offer sincere condolences to her family. Her memory is a blessing to all who knew her. Her music legacy will not be forgotten. Click here to listen to all eight (8) of her albums from the JSA Collection.